Style: Just Lovely - Fashion For Lunch. Recognise this jumper? 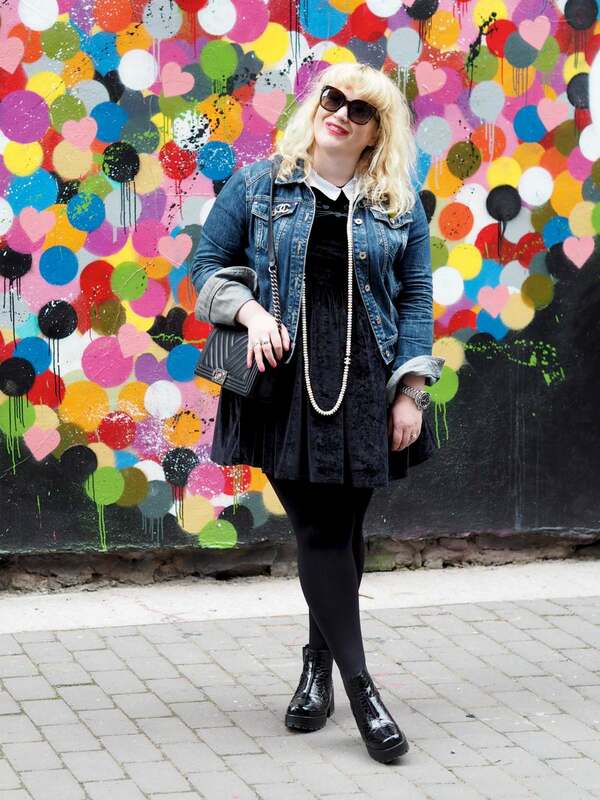 It’s from last Winter, which is my way of saying ‘I love re-wearing past season clothes’. I have this theory, that if you buy what you love and you invest in quality, you can drag things out your wardrobe season after season and keep enjoying them. 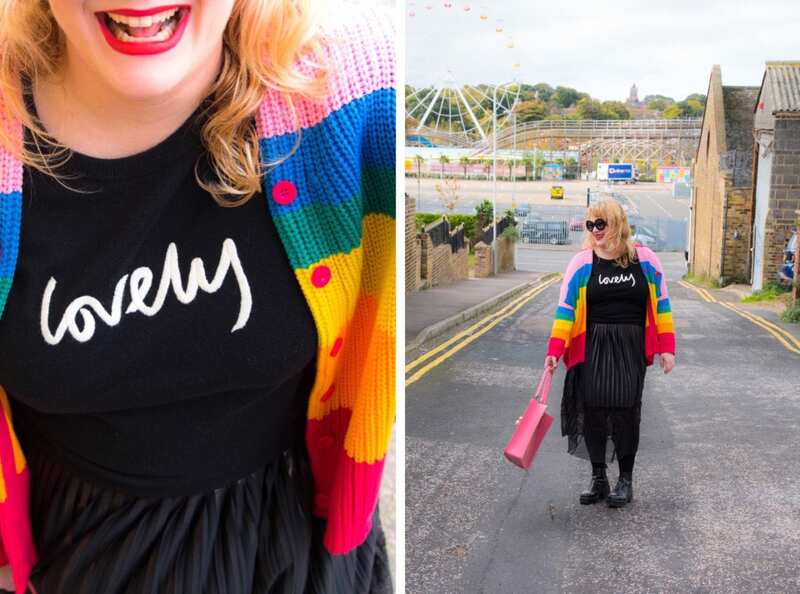 It was tucked in the corner with a few other plain black jumpers and it wasn’t until I pulled the garments aside a little that I realised it was my Boden Lovely Jumper, I did a little ‘Whoop!’ when I found it because I forgot all about it and I love it so much! I’m sorry to say it is completely out of stock, but they have some other dreamy jumpers here, so do go check them out! PS. This one is AMAZING!! 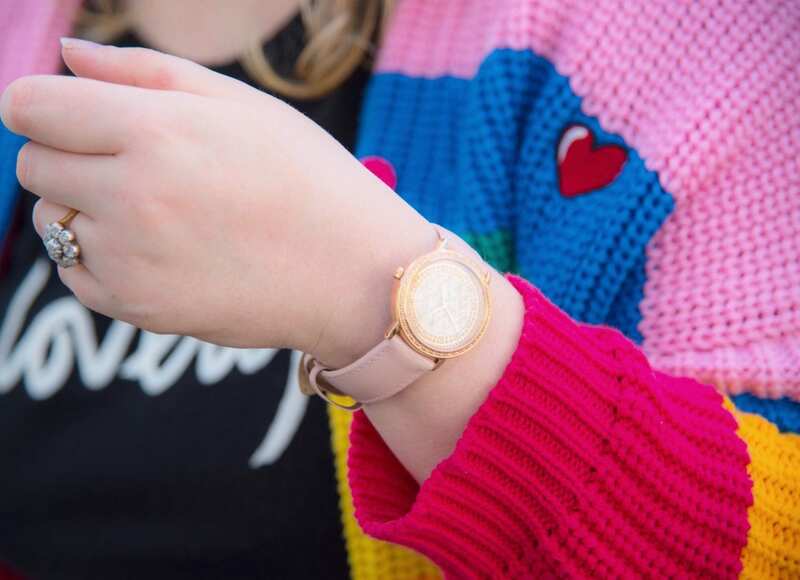 I was gifted this watch a few weeks ago by my friends at watchshop.com, it’s gorgeous, it’s by Guess and if you look verrrrryyyyyy closely, you will see the tiny pink ribbon in the centre of the watch! Wanna know why? Because it was created by Guess in aid of October’s Breast Cancer Awareness month. For every watch sold, 25% of the proceeds will be donated to the ‘Get In Touch’ Foundation. If you are tempted to treat yourself, then you can do so with a little joy in your heart, as it really will help a good cause. 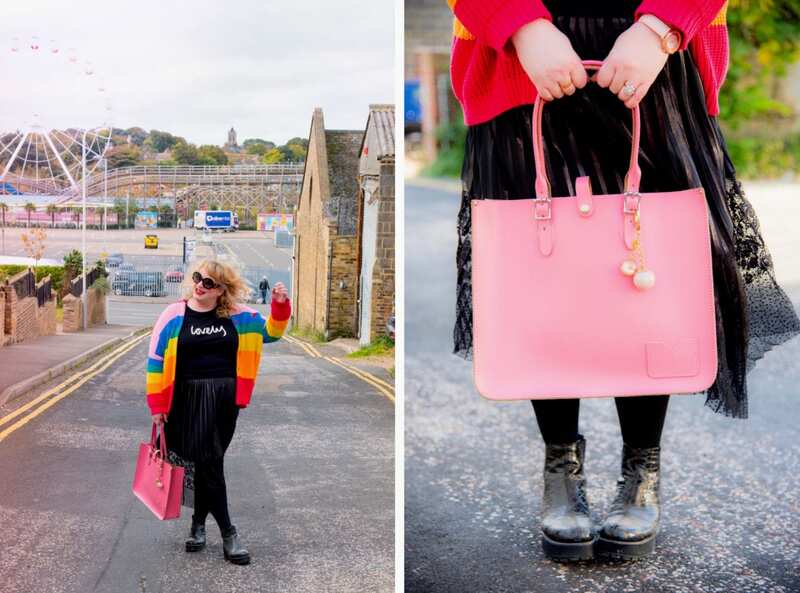 Also, I would love to direct you all to the Girl Stole London blog, Lauren has done an incredible job of documenting her journey with breast cancer and she did with with so much heart and humour. 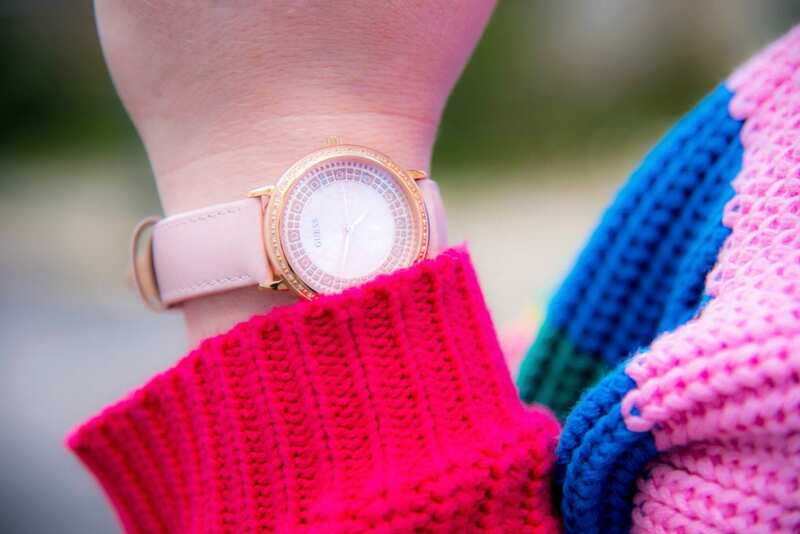 The watch is utterly beautiful but that cardi is just everything! 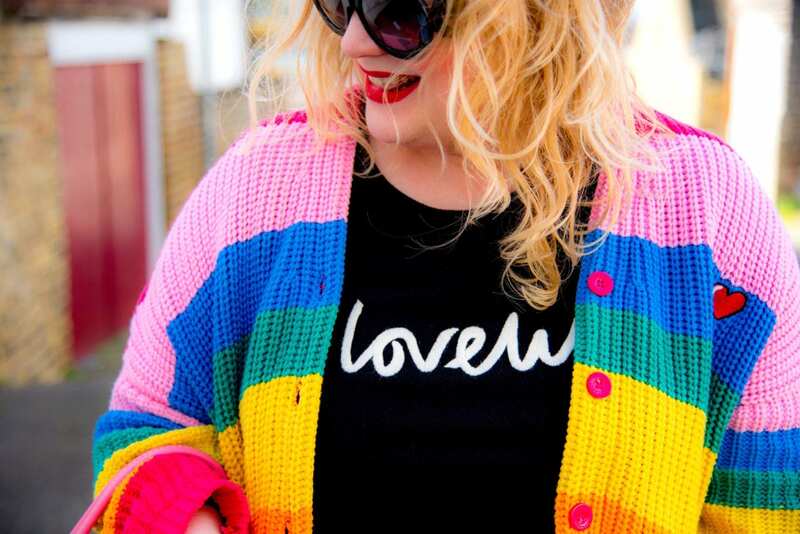 Every time I see this cardigan, I want it more! You always look so incredible! Your sense of style is so good!